Chapala Lake local, Marianne Carlson founded an art festival that seeks to raise awareness for genuine Mexican art and the Master Artisans who bring it into being. Feria Maestros del Arte, now in its fifteenth year, has become an important stage for genuine Mexican art. The artisan fair is held on the second weekend of November in Chapala, Jalisco, Mexico. Join us in November 2019 for our annual tour which includes a guided tour of the Fair to meet and spend time with the individual artisans. 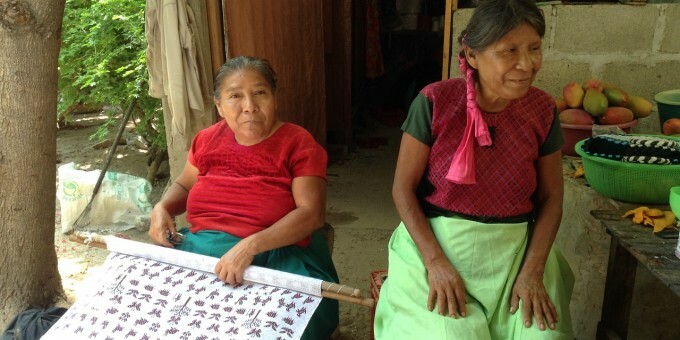 We also have a not-to-be-missed tour to Chiapas in southern Mexico in February 2019 focused on textile and pottery artisans who we’ll meet in their village homes to see them at work. A deep insight into the time and skills required to create these unique pieces using the ancient traditional methods. In both tours you will have an opportunity to purchase investment level art direct from the artisans.